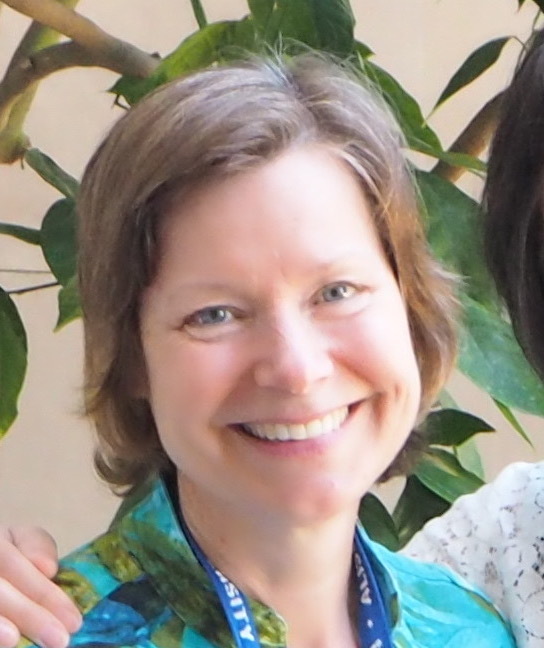 In the field of language education for over three decades, Kim Hallback has taught English to international students from Africa, the Middle East, Europe, Asia, and South America. She has taught English and peace studies at the Interlochen Arts Academy, Soka University of America (SUA), and Indiana University (IU), Bloomington. In addition, at SUA, she mentored American and international students to become future English educators. At IU, she has mentored Fulbright scholars from Afghanistan, Turkey, and Botswana, Africa. Kim continues to mentor Fulbright scholars and also does teacher training for international graduate students who wish to become IU-associate instructors. During the summer, she teaches English to international students at SUA. Kim holds an M.A. in Second and Foreign Language Education (1995) from Soka University of America, Calabasas, California and a B.A. in Spanish and Secondary Education (1982) from Indiana University, Bloomington.